Superstar entertainer, actor and comedian Kevin Hart announced a massive North American arena & amphitheater tour. The WHAT NOW? TOUR will take the award-winning comedian to 45 cities throughout the U.S. and Canada. The biggest comedy tour in history kicks off this spring with a stop at Jones Beach on August 28! Kevin Hart is one of comedy's biggest stars with a celebrated and award-winning career that has seen the talented entertainer become one of the industry's most important and influential voices. 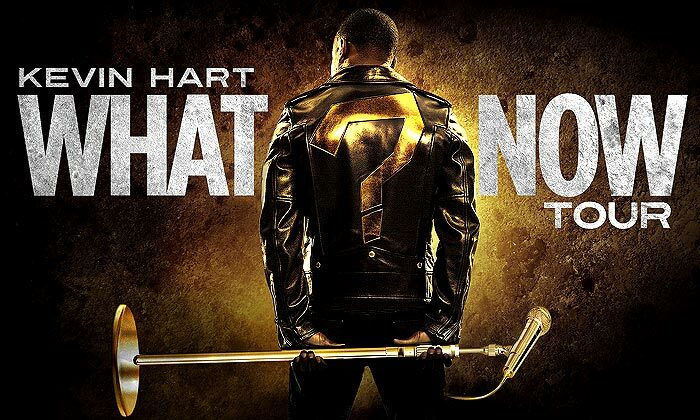 Since his career began Hart has worked non-stop and in 2015, he will release two movies as well as hit the road for his WHAT NOW? TOUR. Kevin can currently be seen in Screen Gem's The Wedding Ringer and in March 2015, will star opposite Will Farrell in Warner Bros. Pictures' Get Hard. In 2016, Kevin will star in Ride Along 2, the anticipated sequel to last year's $100 million blockbuster hit. The consummate worker, Hart is a force in television too where he is currently Executive Producing the hit show, Real Husbands of Hollywood, which premiered its third season in September on BET. In 2012, Hart was tapped to host the 2012 MTV Video Music Awards, garnering much industry praise for his appearance. His comedy tour Let Me Explain took him to 90 American cities before hitting countries throughout Europe and Africa. A testament to his talent and popularity, Kevin became only the second American in history to sell out London's O2 Arena. In addition to sold-out tours, Kevin's film credits also include Top Five, Think Like A Man Too, About Last Night and This Is The End.